As we head into Season 4 of Minecraft City Champs, the same question remains: can anyone defeat the LA Shockwaves? 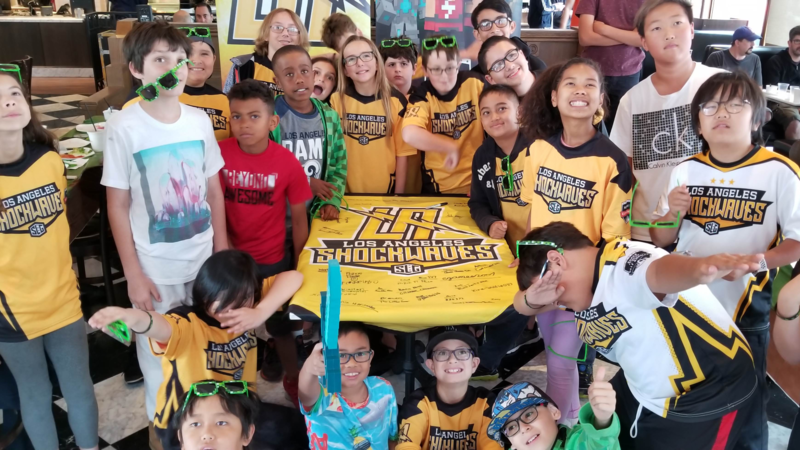 Throughout the first three seasons of Minecraft City Champs, the Los Angeles Shockwaves have stayed undefeated, winning every Divisional Round as well as three consecutive championships. However, with its new format and scoring system, will Season 4 end in another Shockwaves victory? The Western Division is home to Super League’s most heated City Club rivalry. For three seasons, Las Vegas and Los Angeles have battled fiercely, with the Wildcards getting closer and closer to victory each season. While they’ve never succeeded in overcoming the obstacle that is the Shockwaves, the Las Vegas Wildcards should have a better shot in Season 4’s new City vs City format. If Las Vegas wins in Week 1, it will be LA’s first loss—effectively turning the West Division on its head. Throughout City Champs history, Dallas has owned the Central Division; however, Denver has recruited hard during the off-season and will be looking to make a splash in Season 4. This week, Denver will face off against Dallas to open the season, giving them a golden opportunity to announce their arrival as a contender in the Central Division. Between Seasons 3 and 4, the Southeastern Division added Miami and lost Philadelphia, making this division one of the most hotly contested in all of Super League. Atlanta, Washington DC, and Miami are all coming off of stellar seasons, so this division is truly up for grabs! This season, Philadelphia will be joining the Northeastern Division (formerly the East Division) and entering a tough battle in which Boston and New York are already serious contenders. Week 1 of Season 4 will begin with New York looking to avenge a heartbreaking loss to Boston in Season 3. Week 1 of Divisional Play will see showdowns between several intra-division rivals, giving key cities bragging rights and early leads in the fight for Divisional Titles and the chance to play in the Grand Finals. 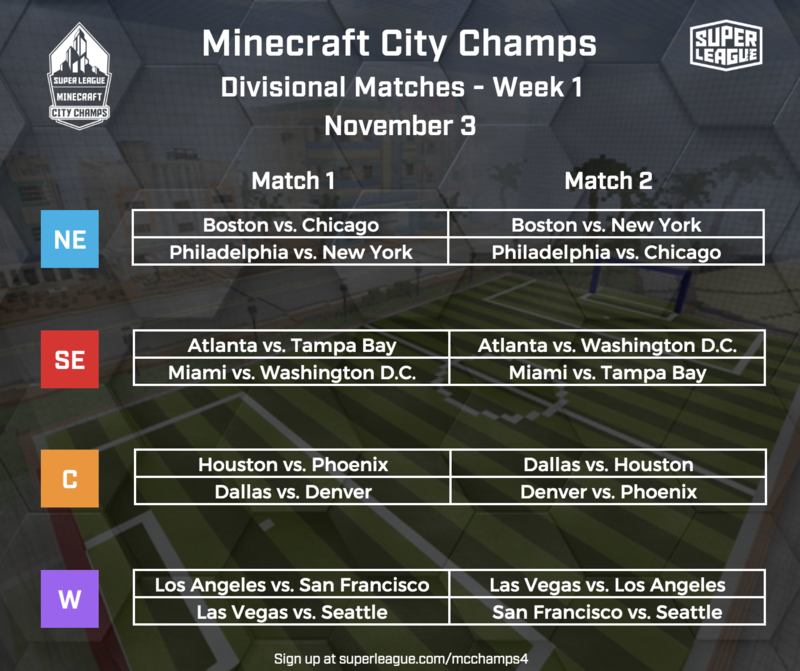 It’s not too late to join Minecraft City Champs. Tickets are available until November 10th, so click here to join in on the fun!